Not one to idly set goals, he started a rock and roll group and was playing clubs in Northern California within six months, headlining just a couple of years later. By 18 he had tired of the scene and decided to start a career in business, going to work for a distribution center of True Value Hardware. “I wanted to work my way up the corporate world, so I made business a priority, but never put the guitar down,” he said. Working his way up the ladder allowed Haaby to buy a mini recording studio for his house, beginning his foray into blues, jazz and all the varieties of music he could find. At 24, a serendipitous meeting with Ken Buchannan, who sold him a keyboard, suggested he check out the group The Gypsy Kings. 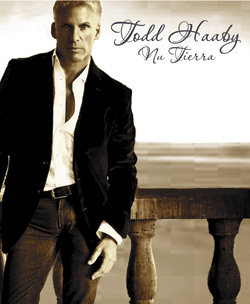 His introduction to The Gypsy King’s rumba flamenco style with pop influences fueled the fire for Haaby’s musical interests, a fire that burns hot to this day. Haaby’s transition from Rock n’ Roll to the sounds of Spanish flamenco created a style uniquely his own. He became dedicated to the Spanish guitar, practicing for several years before starting to write his own music. 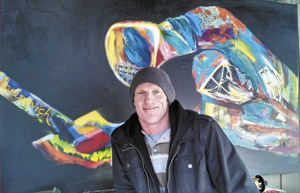 Investments in Bend real estate eventually brought Haaby to Central Oregon about eleven years ago, and shortly after he formed his group, Sola Via. Their first CD was released in 2004, with the official album, Sola Via, released in 2007. The group has continued to gain popularity all around the world and released Into the Night in 2010 and their newest album, Nu Tierra, late last year. Sola Via was formed around a core group of musicians including Haaby’s brother Bobby, another talented artist on the bass, who has been playing with his brother on and off since he was 18. On rhythm guitar is Milo Estrada, one of the first musicians Haaby met when he moved to Bend. 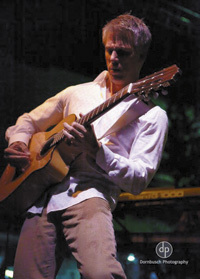 Estrada learned the classical guitar at an early age, but found it was Haaby’s song Rattlesnake that inspired him to learn more of the flamenco guitar. “We have been playing together now for eleven years, and we have such a telepathy; he knows where I am going with every song, there is this back and forth and the comradery between us,” Haaby said. Rounding out the group is bass player Warren Zaiger who fills in for Bobby from time to time. Sola Via’s tour schedule has been steadily building steam, and Haaby is thrilled at the prospect of even more travel as his goal is to perform globally. “I love the travel; living in Japan geared me up for it. I was going all over and living like a gypsy out of my suitcase. I don’t think it’s grueling, it’s fun! I’m looking forward to being busier and traveling the world,” he commented. “I want to share my music around the world…going global is a quest. Haaby and Sola Via continue to pull in sold-out crowds to their performances with their spicy Nuevo flamenco music. “To be sold out is such a complement, it makes you want to deliver,” Haaby finished. 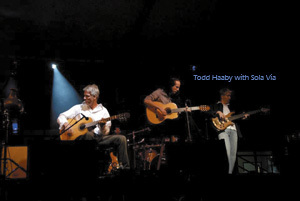 Todd Haaby is nominated for an Independent Music Award this year and is building his winter and spring tour schedule. Look for details of future performances at www.toddhaaby.com.